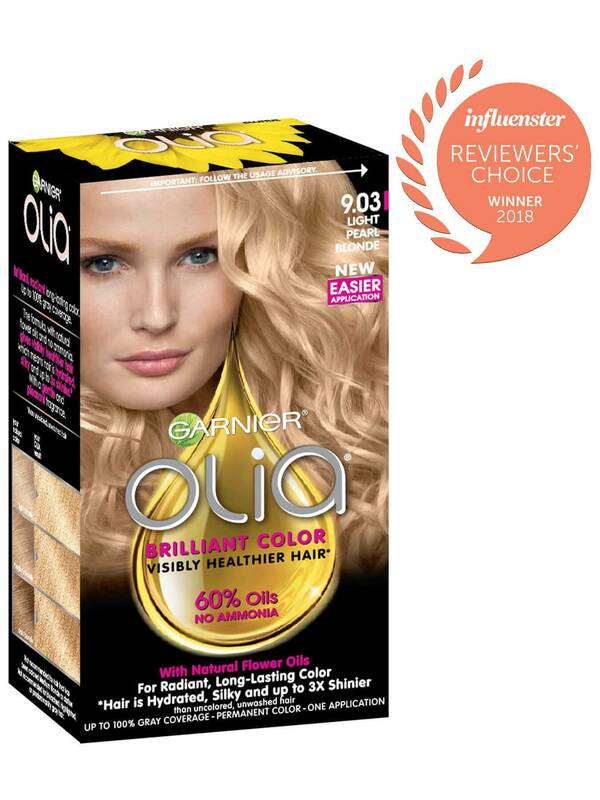 Garnier Olia shade 9.03, "Light Pearl Blonde," was specially designed with a blend of both natural and golden tones to create a smooth transition with your natural hair as roots regrow. The color also brightens skintone and provides 100% gray coverage. 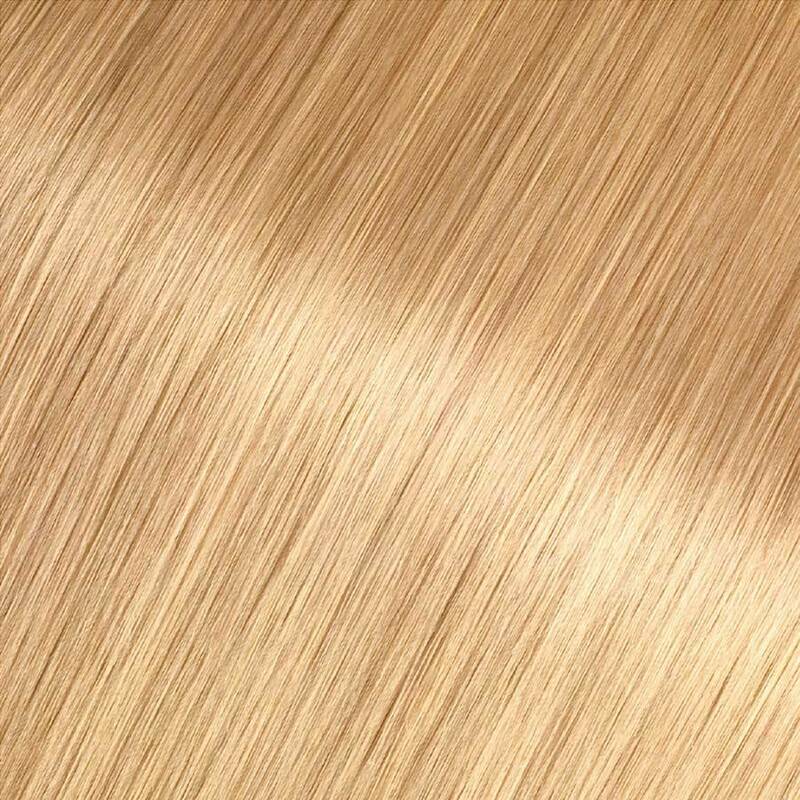 It is best for anyone with natural hair between light blonde and dark blonde. If you are looking for a slightly lighter shade, try 9 1/2.1. Or, if you would like to remain in the light blonde range but would like to explore other reflects and tones, shade 9.0 or shade 9.3 might be for you. *For women with currently color treated hair, there are special considerations for the color result you can achieve. 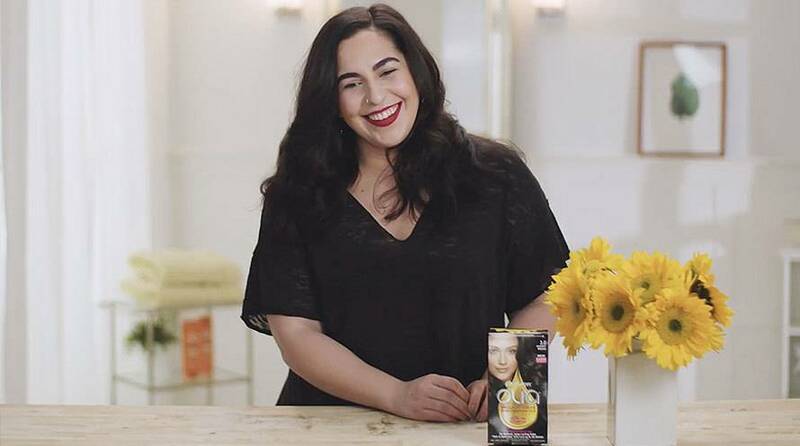 Because of this, we do not recommend shade 9.03 for hair that has been previously colored shade 7.0, "Dark Blonde," or darker. For more help, use our Shade Selector Tool to find the perfect shade for you! Rated 5 out of 5 by pastorj from WoW Factor I've been every shade of blonde over the years. Two-toned, highlights, you name it. The "Pearl" fascinated me, in hair- colour names. Loving real pearls for their special glow (that's hard to copycat), I was curious as to how this translated into colour names. Looking to achieve an easy wow factor, without all the mess, I finally gave this a try. Mission accomplished! Easy to use, no overpowering chemical smells, gorgeous colour results, with a special glow that's hard to copycat! Definitely WOW! Rated 5 out of 5 by GingerB it from Beautiful vibrant colors...covers gray I have used 9.03 pearl blonde for more than a year. Absolutely fabulous and I get numerously compliments on my hair. I'm over 65 so youthful pearl blonde is an excellent selection. Highly recommend this color and product as well. Rated 5 out of 5 by rmcd from Wonderful color Started using this product about 9 months ago and I love it. The color matches my true color perfect. It also makes my hair look and feel amazing. Rated 5 out of 5 by Sc0rpi0ng0ddess from Amazing color I'm hooked. It's the best color I've ever used. Just wish my local stores carried more than a few boxes I need three at a time. Rated 4 out of 5 by Misscroft from Nice Blonde Color and Not Too Golden I usually use Nutrisse between professional styling appointments. I color and highlight my hair at those professional appointments. I do not need a cut now so I decided to color it myself today. I tried the Olía for the first time and it turned out very nice. I had dark blonde roots (about 2 inches) and I wanted to lighten them up a bit. This did the trick! It came up with a little golden color but not too yellow like some golden blonde colors can be on me. And my highlights are still there, although they may be a tad darker, but that's ok. My hair is silky soft. I will definitely use this brand and color again. Rated 3 out of 5 by ima62QP from Same complaint I just tried this color and have not even seen how the color works out -- my complaint is also the shape of the bottle. I remember now why I used your product once and never tried it again. The shape of the bottle is impossible to hold and squeeze after you have the gloves on and the color gets onto the gloves -- if just slips out of your hands and is way too big around to grasp. I will rate your product a 3 but will not use again unless you change the bottle shape.